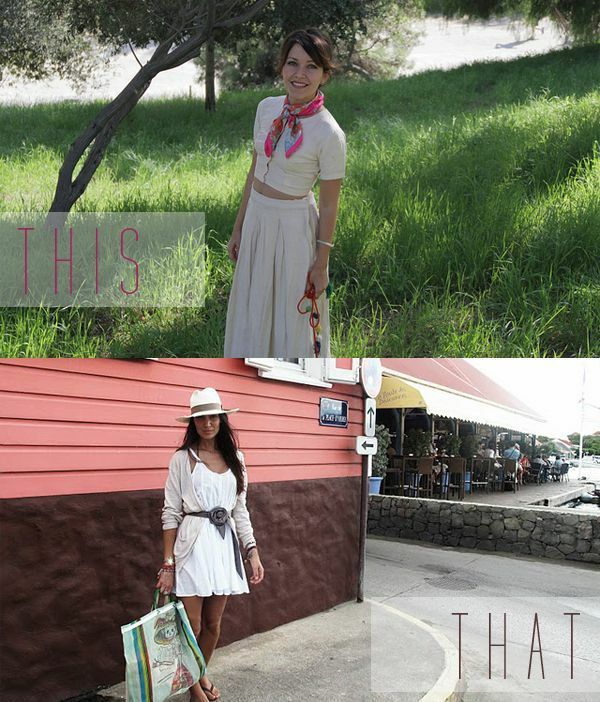 Today, I'd rather be wearing a neutral pairing with a pretty vintage scarf (like Beatrice Valenzuela) or a floral belt + wide-brimmed hat (like model Jenny Lopez). I'd also rather be in a pretty green field or shopping in a tiny coastal village. Is that too much to ask?